WHY OURS? 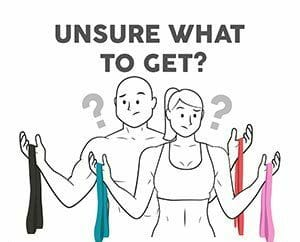 : >20 layers thick, free training eGuide, lifetime warranty, 300+ possible exercises"
Stretch, strengthen and tone your entire upper body, lower body and core. 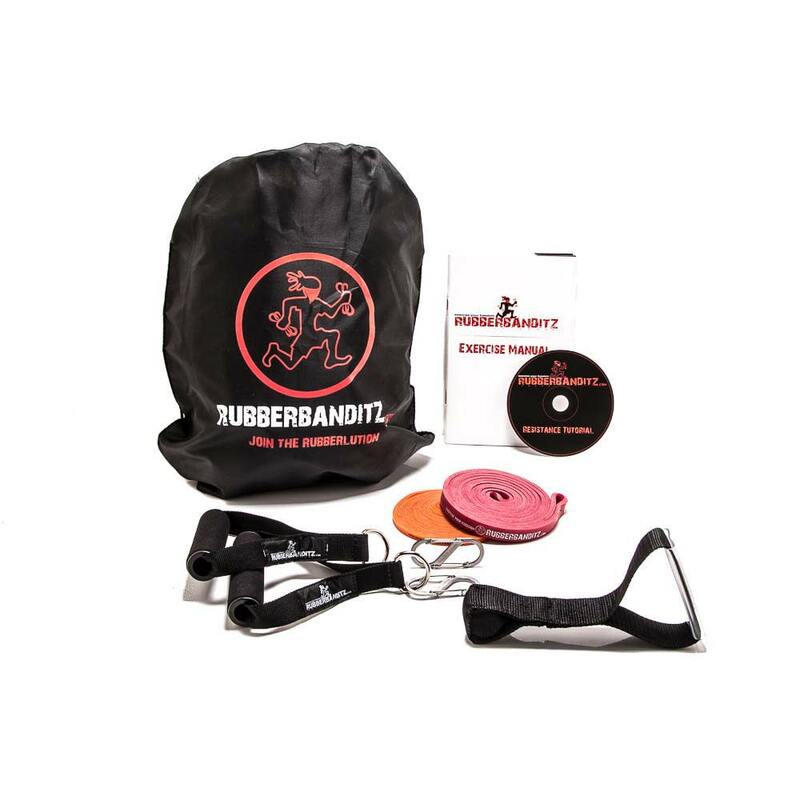 Each lightweight mobile gym kit is capable of over 300 exercises and compresses down so small that it's a cinch to carry with you for a complete workout in your home, park, gym, or hotel room. 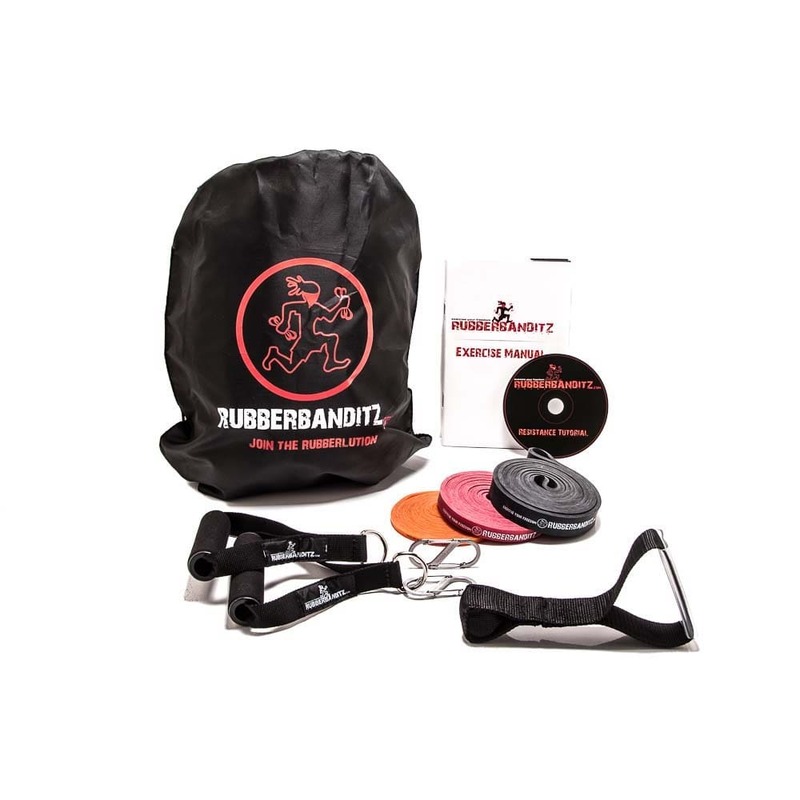 Basic Mobile Gym Kit | 5-50 lbs. Standard Mobile Gym Kit | 5-100 lbs. 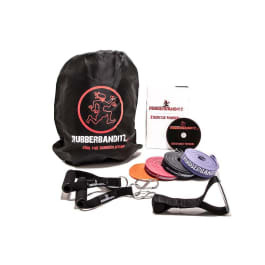 Deluxe Mobile Gym Kit | 5-200 lbs. Because the layering property helps keep you safe. Each band is can stretch 3 times its resting length. This means that they a) stretch further b) last longer c) give warning as they wear out by unpeeling instead of snapping on impact. For this reason, we offer a lifetime warranty on all of our equipment. If at any point you are unsatisfied just send us back your band(s) and we'll refund or replace them with no questions asked. Great way to train everywhere. 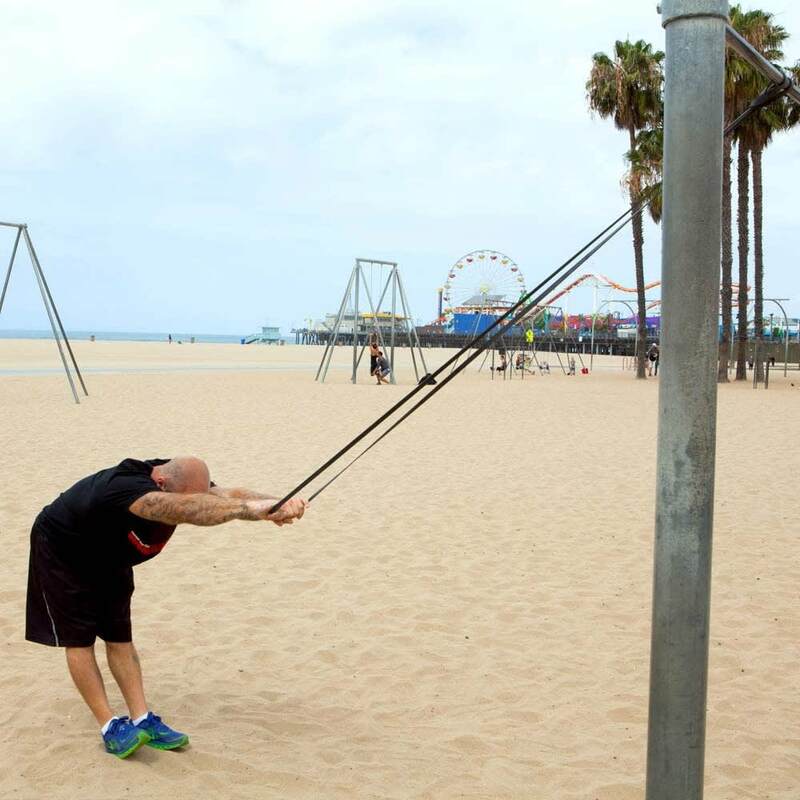 1)Great way to train everywhere. 2)Dumbell + Band is a fantastic way to have full move resistance and obtain the greatest results: muscle strength, volume and endurance. These bands are the best you could find on the market for this too. 3) Delivery to Europe fast and cheap!!! Instructions, bands, carries in one small bag for one the road, what more could I ask for? And it's just what my doc wants me doing! Great, great, great! The kit is light a compact, perfect for traveling! The variety of exercises you can do with the bands is great. International shipping to Thailand was quick. And the bands seem quite strong and durable. Doc says I can't lift weights right now. So I decided to try your product. It is a good work out and doesn't cause me any problems. This is a good way to stay in shape and it is low impact on me. Thank you!! Great workout and portable. Can take it anywhere.